Say Goodbye to Your Tattoos! Start Fresh by removing Unwanted tattoos today! Thanks to advanced technology you no longer have to live the rest of your life with an unwanted tattoo. Our professional medical staff are educated and experienced in advanced tattoo removal who can provide you with the best results and the best laser tattoo removal in St. Lucie County. At New Radiance Cosmetic Center of St. Lucie, we use the most advanced tattoo removal laser on the market – the new Lutronic Spectra Q-Switched Yag. The SPECTRA’s powerful dual-pulsed, Q-Switched Nd:YAG Laser is capable of producing four different wavelengths to accommodate different colored tattoos and skin types. The advanced laser energy photo-mechanically removes various pigmented lesions and addresses all standard tattoo ink colors such as red, blue, yellow and black. The SPECTRA uses high intensity pulses of laser light to significantly lighten or completely remove pigments and tattoo particles without harming surrounding healthy cells. Click on any of our tattoo removal before and after pictures to see some of the work done by this laser. Laser tattoo removal can remove tattoos of almost every color. 4 wavelengths, 1064, 532, 585, 650 nm, provide effective clearance on most tattoo pigment colors including black, red, dark and light blue, green (and some others) . Experience and an advanced laser makes us the best choice for tattoo removal. Years ago, the same procedure would be less effective and costs many thousands of dollars. Today, due to the improvements in technology, tattoo removal is affordable, with the price of sessions as low as $150. Now You Can Erase Your Tattoos! Why Choose the Lutronic Laser? This Laser, unlike others, is specifically made for tattoo removal and is considered the “Gold Standard” in the industry. It is unique in that it uses four different hand pieces, each with a different wavelength to target all of the ink. With a laser created for tattoo removal like this Spectra you know that you will be able to safely remove as much of your tattoo as possible. Restoring your skin and achieving your goals. How Does the Laser Safely Remove My Tattoo? A beam of a specific light wavelength passes through the skin and in a flash, measured in nanoseconds, it fragments the encapsulated ink located below the epidermis by a “photo-acoustic” effect with very little heat… The leftover particles will then be cleansed by your body’s natural immune system. With our advanced lasers you can target your Tattoo and avoid unnecessary damage to your skin! Does Laser Tattoo Removal Work on all Colored Tattoos? Dark (blue, black) and reds inks will resolve the best 95% of the time. Oranges and purples also fade well. Green and yellow are the most difficult and we can only promise significant fading. White, flesh colored and metallic based tattoos don’t respond to laser. Patients report that it feels like snapping a rubber band on the area. We use a super-cooled Zimmer blower that not only reduces the discomfort and promotes healing but laser tattoo removal is a controlled laser burn and thus needs to be treated as such post treatment. 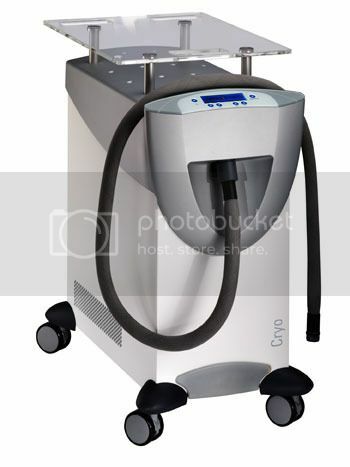 Unlike other cooling methods such as contact cooling, cryogen spray or ice packs, using a Zimmer blower will cool the epidermis before, during and after laser energy has been applied without interfering with the laser beam. With our cooling system you get a more comfortable treatment session and better healing for your new, tattoo free skin! The cost of laser tattoo removal sessions depends on the size of the tattoo or tattoos being removed. Sessions start as low as $100-$150 per session depending on colors. We’ll price each session during the free consultation and we will categorize your tattoo into small. medium, large or other as well as give discounts for multiple tattoos removed at the same time.